Yes it's horrible isn't it. I used to buy organic free range then stopped. Recently started again for my daughter for her breakfast. I made the decision to get my own chickens in the spring. Have wanted to keep them as pets for a long time, so at least this way my kids can eat eggs from chickens we know are fed well and not slaughtered when they stop producing eggs (or lay infrequently). I'll also be taking a few ex-bats hopefully. Yes I couldn't believe it. I've been a vegetarian my whole life and didn't imagine this sort of thing went on. Felt so ignorant and blinded by packaging after doing the homework. At least I know now! Good for you, Phoenix! I am sure you will make sure the hens have a happy life, and your children will enjoy helping you look after them. Chickens are so sweet! I live in a small flat in London, so can't really keep any animals. My mam might in Wales though! I've been veggie for 2 years and I really want to be vegan but my mum won't let me as its more hassle to buy vegan milk and butter as well as normal. 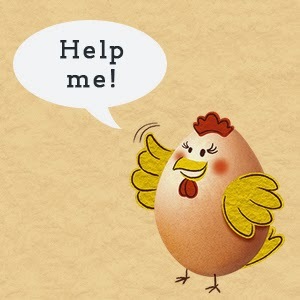 After researching how cruel the egg and dairy industry is I want to be vegan more than anything. I eat free range eggs, "cruelty free" milk and I don't use any products tested on animals or wear fur or skins. Sounds like you are doing all you can! Some things you can replace with every day items though - like olive oil instead of butter on toast. Also Pure Sunflower spread is just as good as butter and so much healthier - http://groceries.asda.com/asda-webstore/landing/home.shtml#/product/41418?&cmpid=ppc-_-ghs-_--_-google-_- Who knows, maybe your mam will want to give it a go one day? Best of luck and you'll get there eventually! Hi - I was bitterly disappointed by the exposé of the happy hen co recently - but more worrying was that it debunked 'rspca freedom food monitored' - which was on the happy egg co packaging. As a vegetarian of 30 years standing - I have learned the importance of quality protein (and the dangers of soya to healthy hormone balance) - so eggs have been my class A protein of choice. I will not buy them now - until I can find a local farm where I can see the conditions - and then I will pay whatever it costs. Thanks for your comment! it is shocking isn't it - I was a vegetarian blissfully ignorant of how the egg industry worked too. It was such a shock. I haven't missed them at all - I just see them in a completely different light now!